Choosing your cabinets is a massive decision to make when you’re having a new kitchen, or even when you’re just updating it. After all, the image you go for will have a big effect on the look and feel, as it’s the most noticeable aspect of the room. When you get it right, choosing kitchen cabinets that work for you can also offer a better use of space, with extra room for storage to stop it looking crowded and cluttered. Here are a few tips from the experts on questions to ask yourself when considering new kitchen cabinets. Good planning is key – so where do you start? Firstly, bear your budget in mind. It’s a good idea to devote around a third of your budget to kitchen cabinets when planning a new kitchen this summer, if not more. Not only because the cabinets need to have the right look to suit your kitchen, (as the first thing you’ll see when you walk in the room), but, because you want to go for the best construction and materials to ensure your kitchen stays looking high quality and lasts for a good long time. After you’ve worked out how much you have to spend, think about your lifestyle and what works best for you, giving good consideration to the fact that the kitchen is one of the most used rooms of the home. Think about what you want from that space and give thought to factors such as how much storage space you need. The more appliances you can store away, the smarter, cleaner and less cluttered your kitchen will look, allowing for more visual appeal. Not to mention the fact that the more stuff you store away, the larger your kitchen will look. Kitchen Cabinets – What goes where? Look at the layout of your kitchen – does this suit the current needs of your family or does it need to change? Are there bits that get in the way, such as cupboard doors that open the wrong way round, or ones that slam shut? Take a look at where your large appliances will go and you should be able to figure out the layout of the cabinetry around this. Ask yourself what you didn’t like about the kitchen cabinets that you had there before and this should help shape a list of the factors that you want to include in the new ones, with regard to functionality and style. Materials – MDF or plywood? 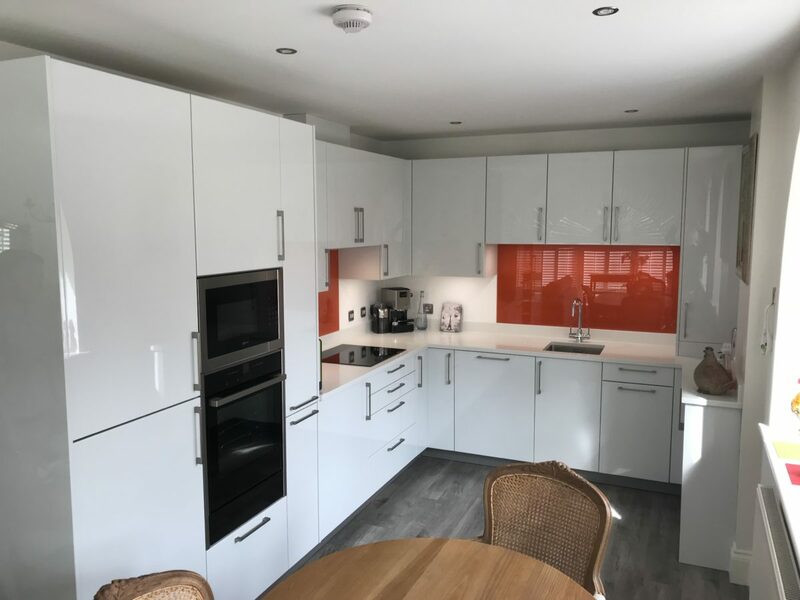 If you have any queries about the design and installation of your kitchen cabinets or would like to find out more about the options available to you, why not get in touch with one of our kitchen design experts today or come and visit our Granby Street showroom for some great kitchen cabinet ideas.